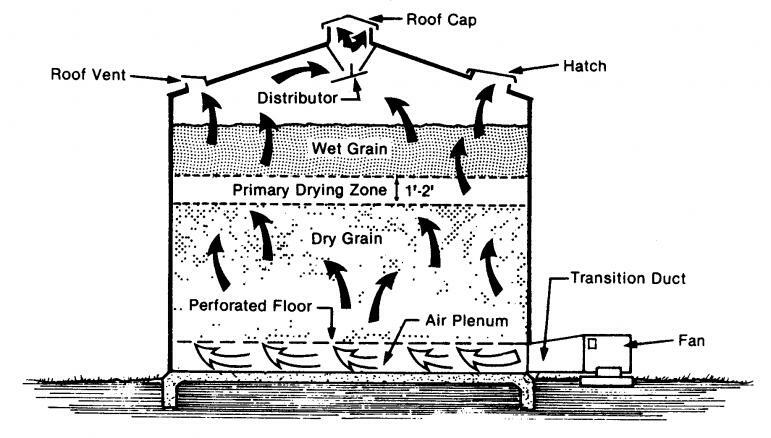 A dryer feed bin is a storage container where feed is dried and stored in the same bin. Feed enters the dryer at the top and falls into a self cleaning chamber. This chamber also provides a means of distributing feed evenly around the bin. The feed falls down and enter the heating section of the dryer, which is designed to provide the optimum balance of retention time, airflow and temperature. The long retention time and low temperature results in a higher quality of feed drying. After the feed is efficiently dried it is cooled and stored at the bottom of the bin. 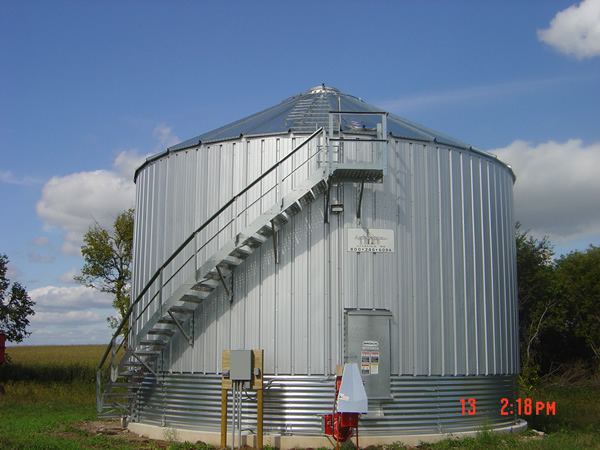 Although the dryer feed bins are commonly used for the storage of grains, they can be used to store biomass as well. 1. 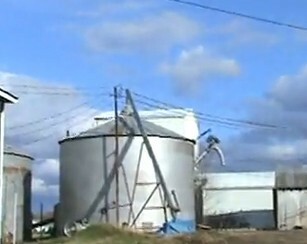 "GRAIN SYSTEMS, INC." GRAIN SYSTEMS INC. N.p., n.d. Web. 24 Dec. 2012. <http://www.grainsystems.com/>.